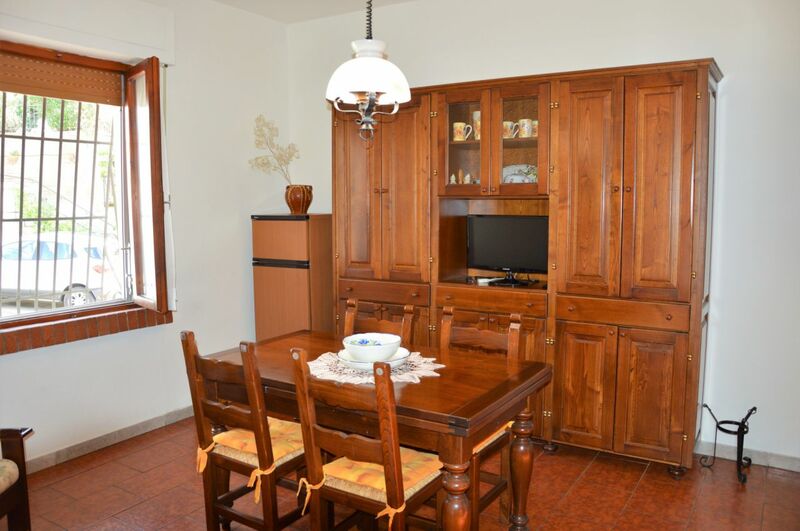 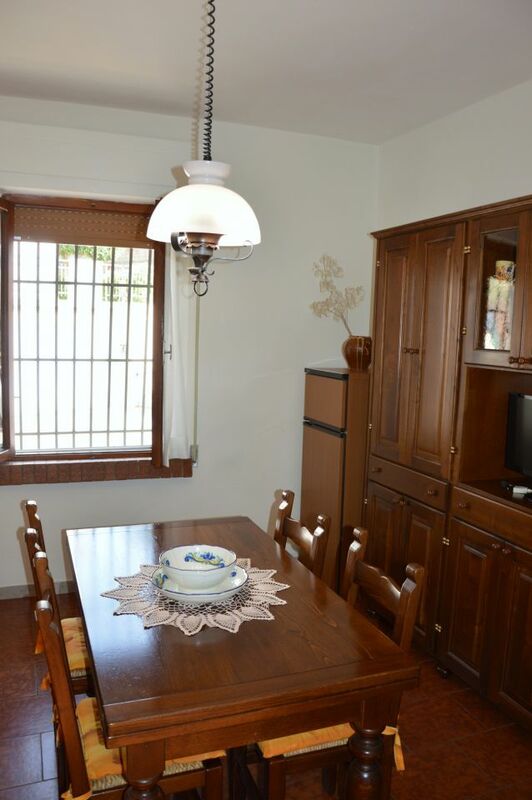 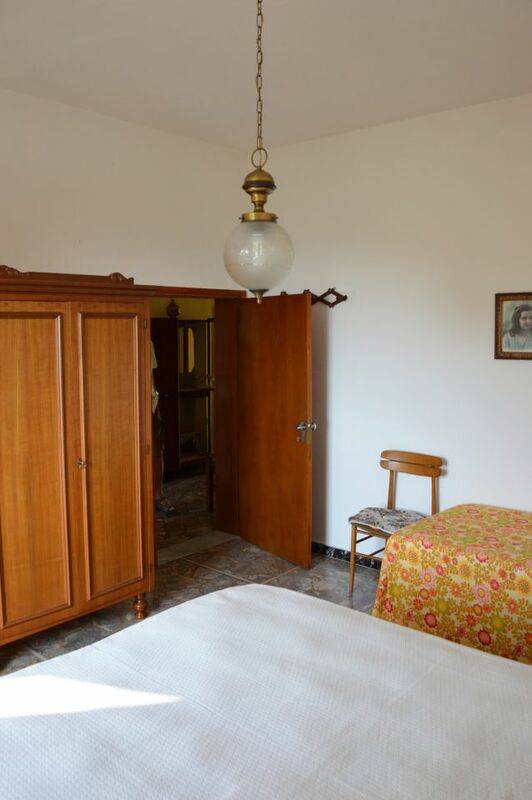 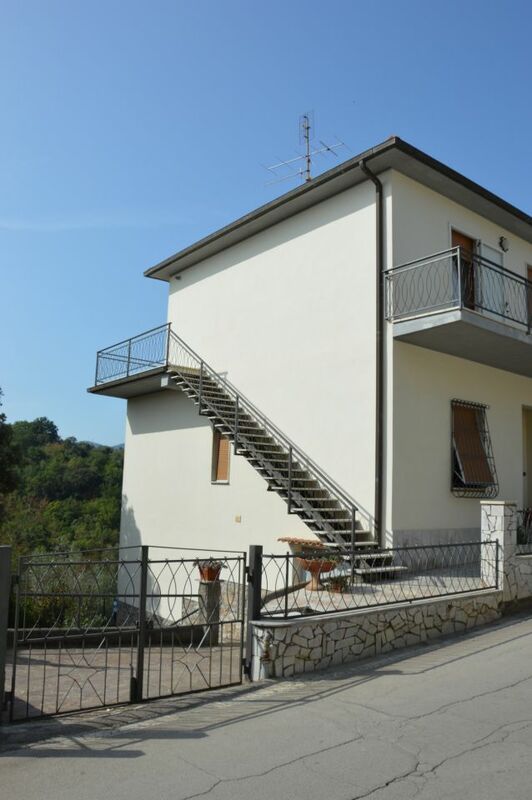 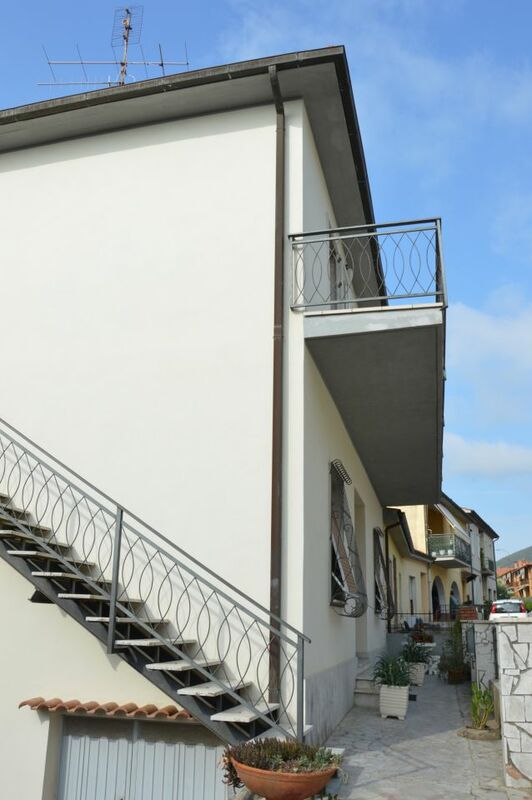 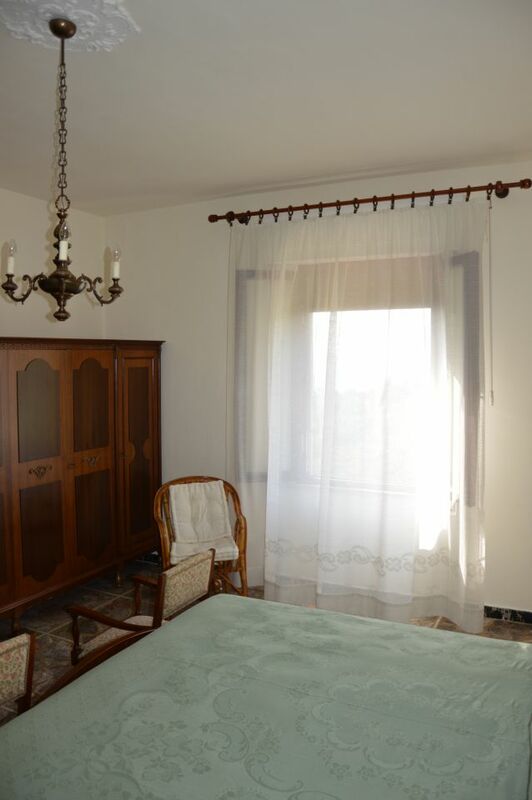 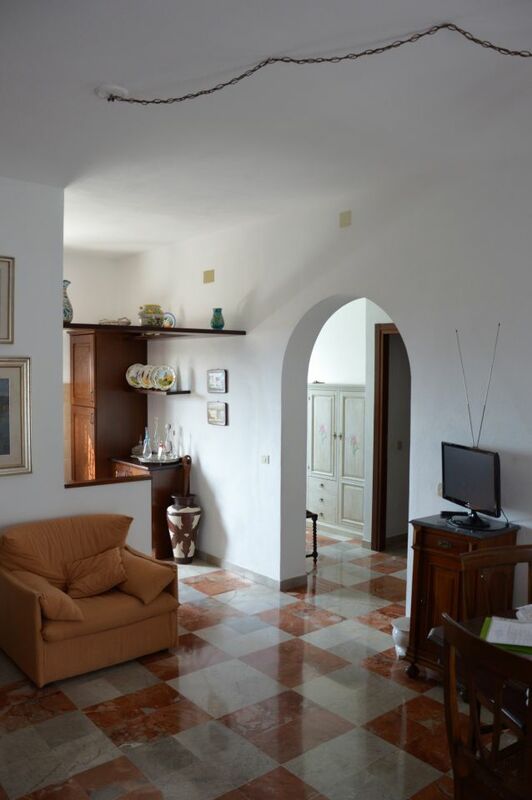 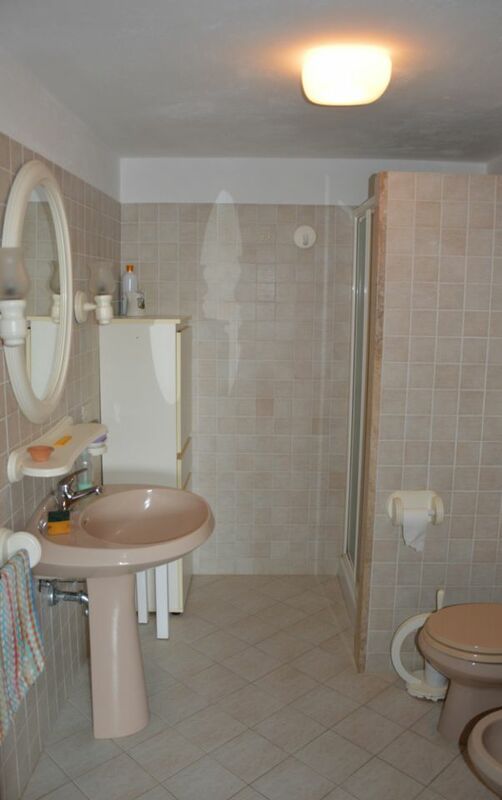 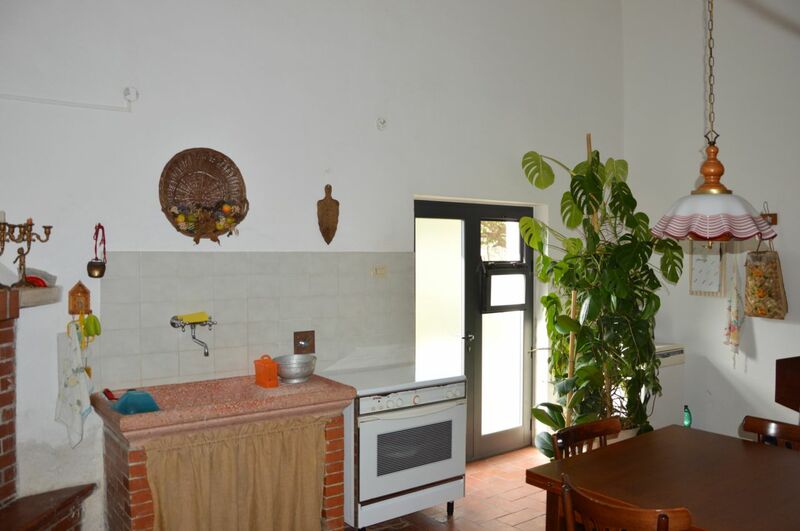 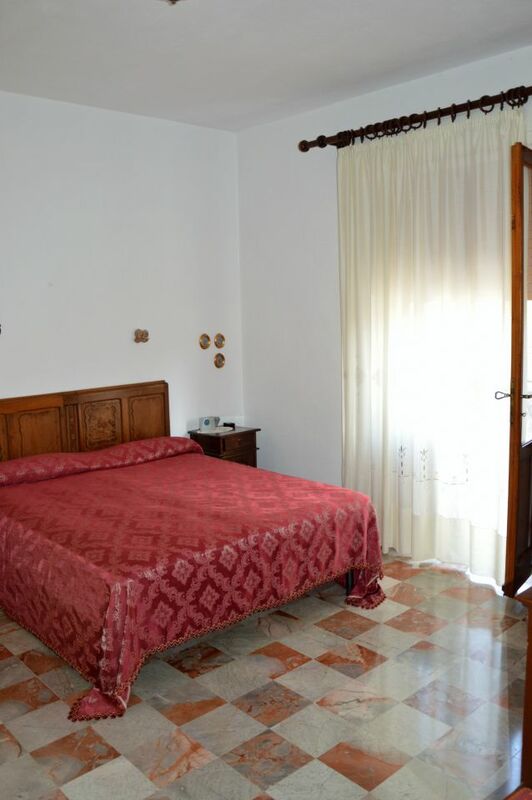 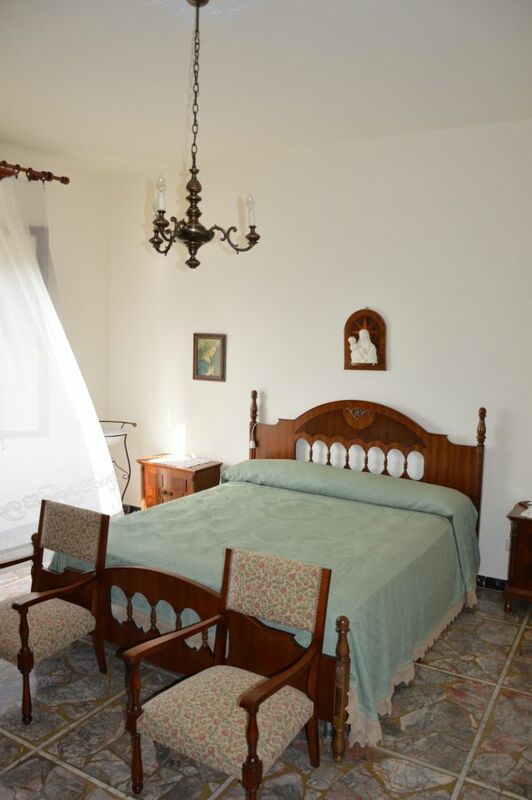 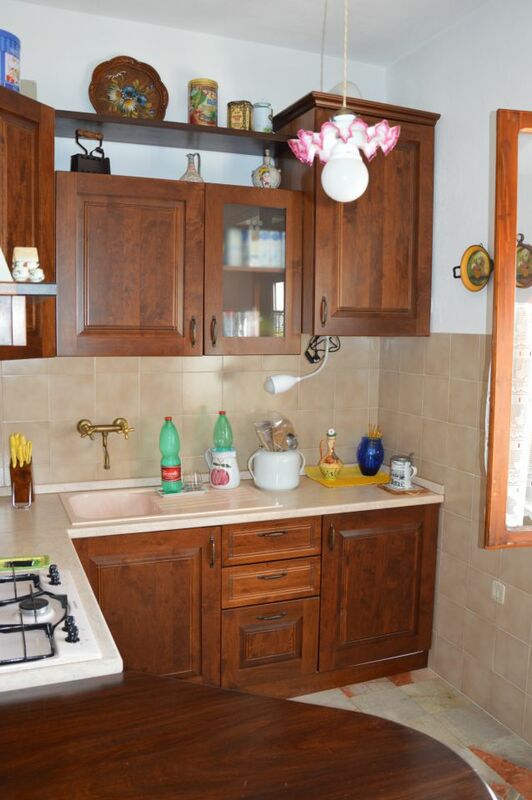 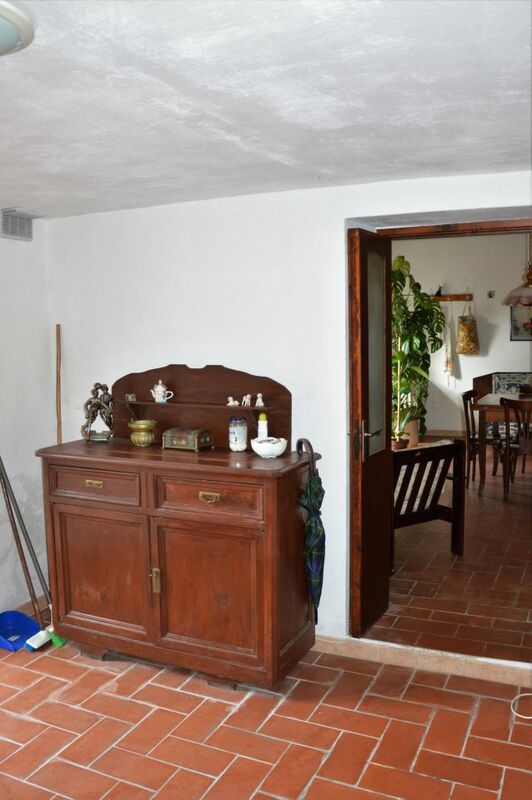 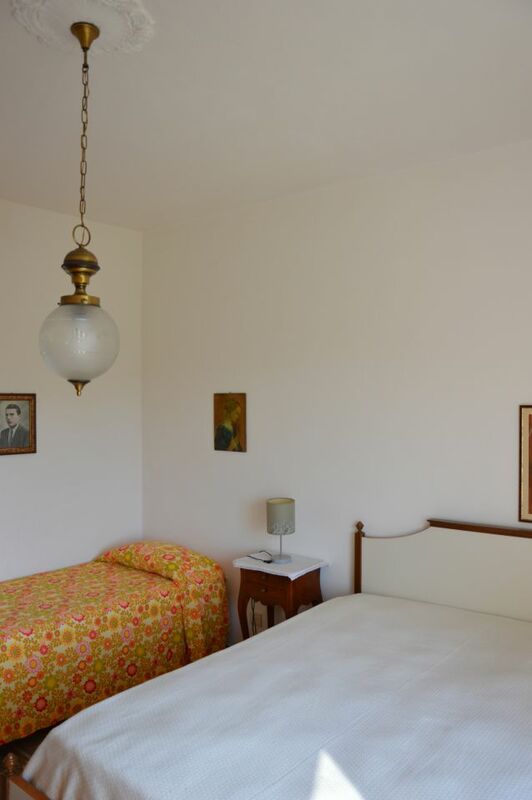 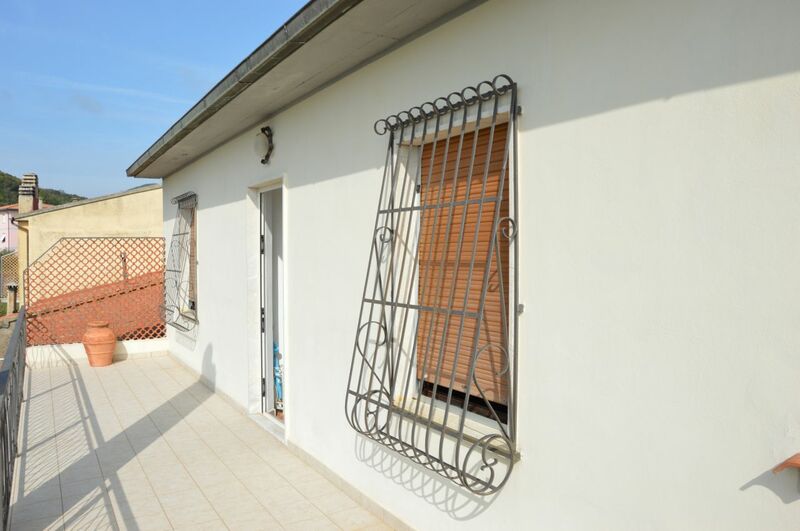 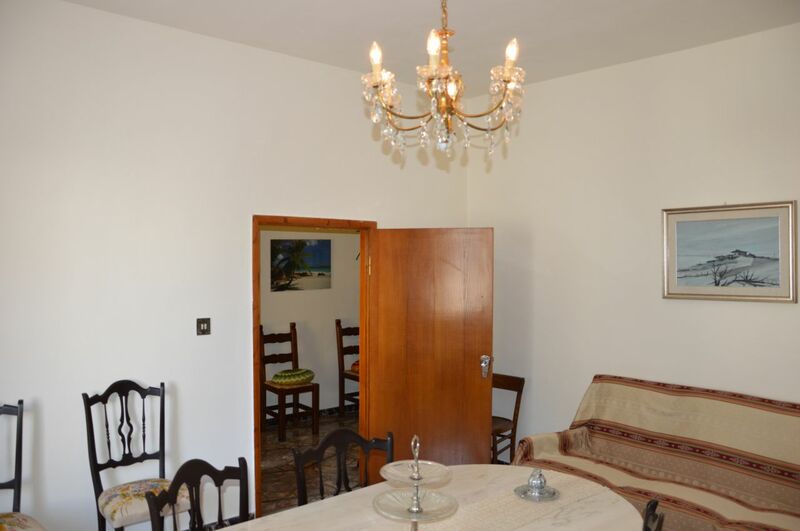 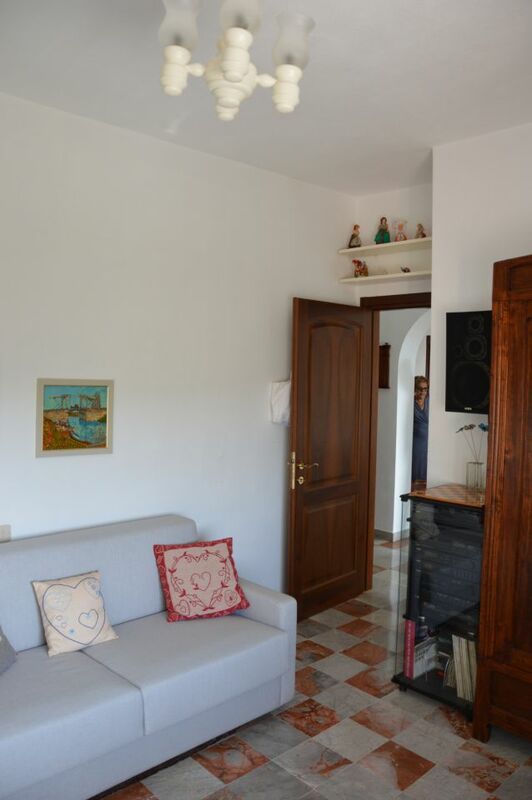 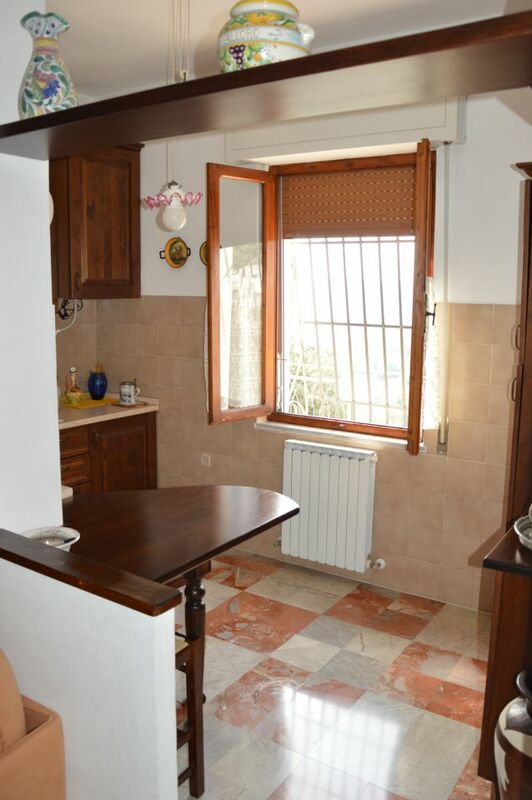 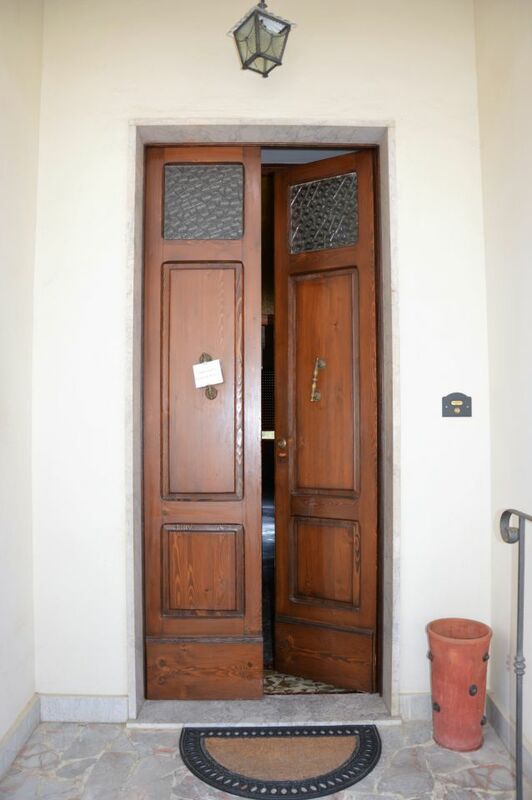 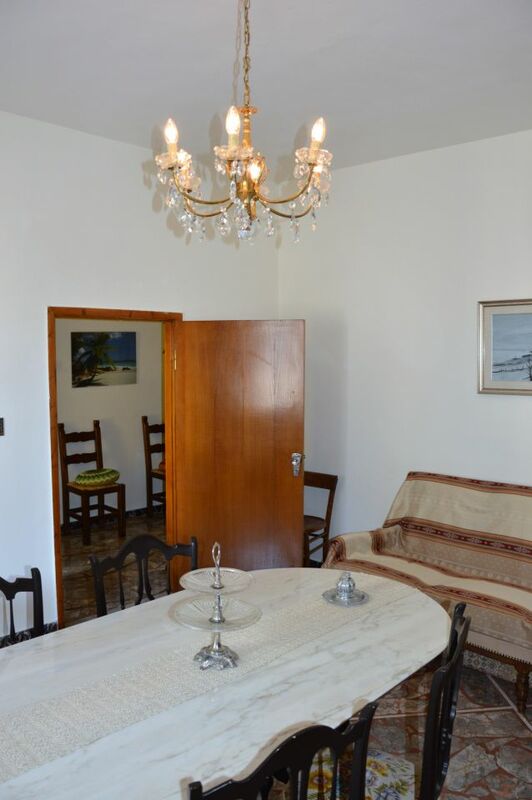 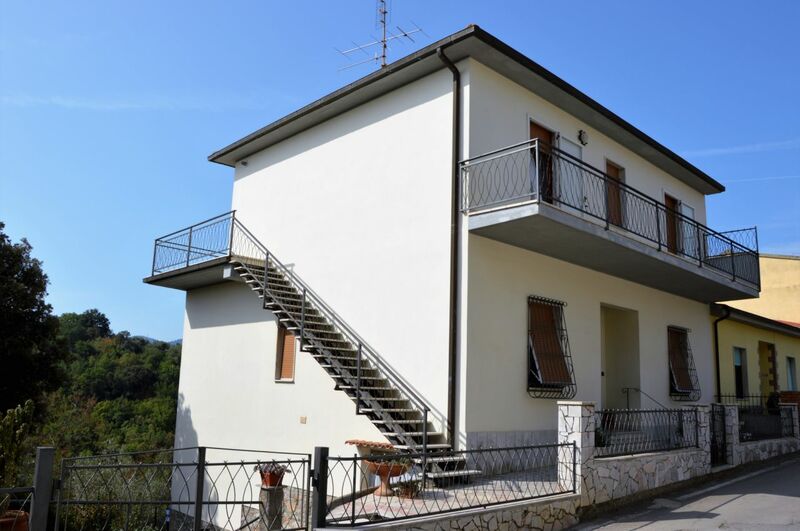 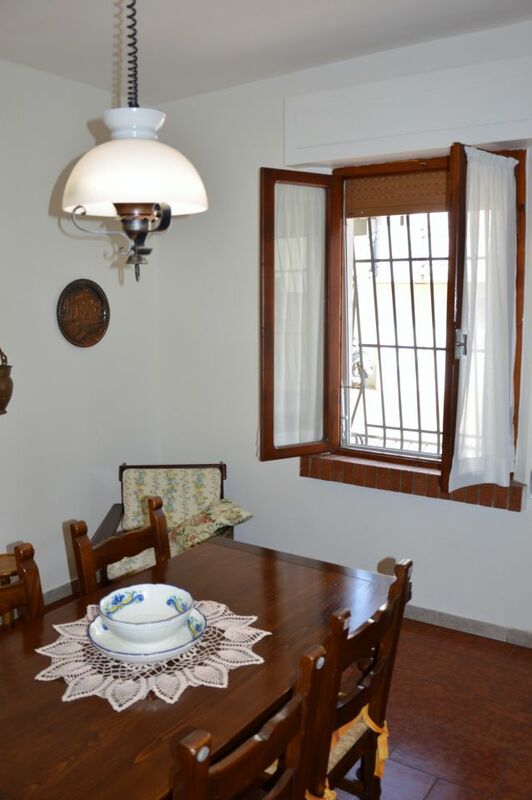 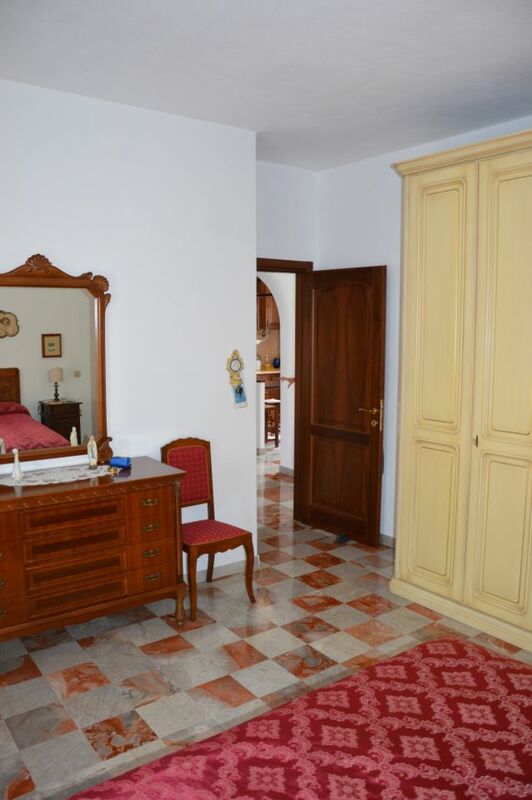 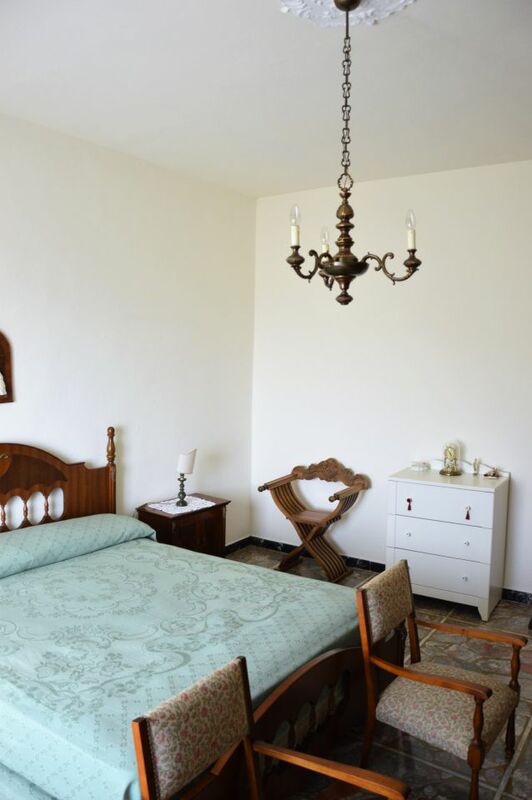 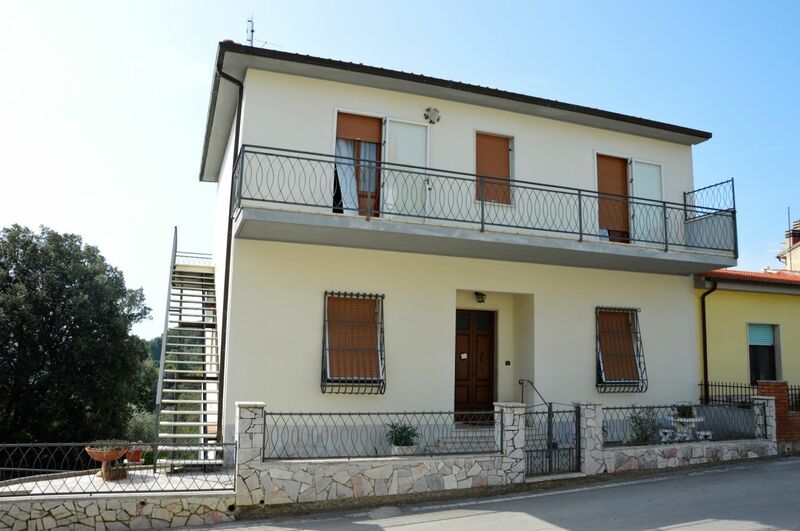 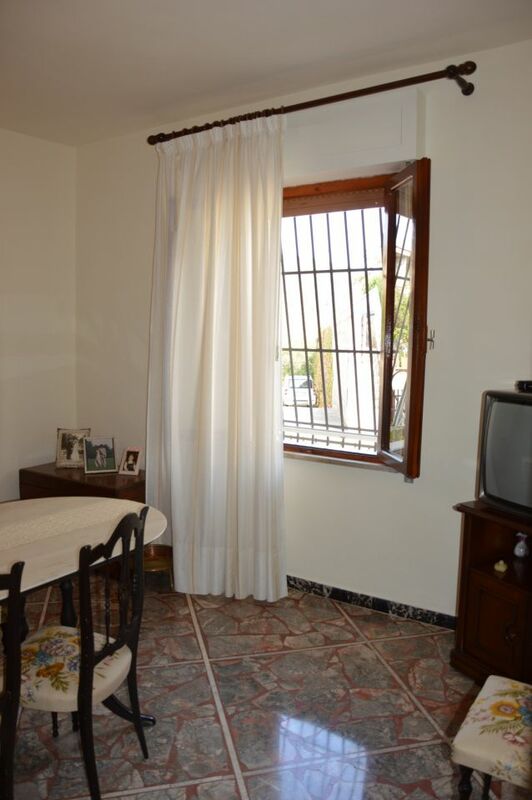 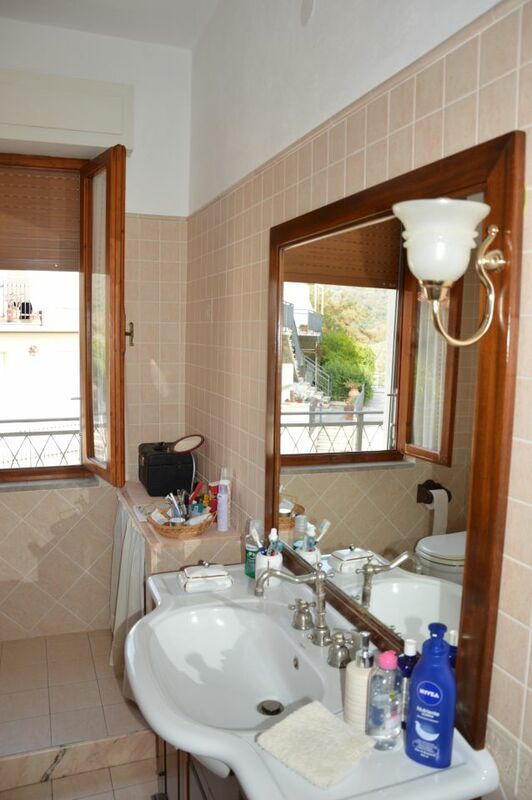 Independent house of about 330 sqm, free on three sides with private garden of approx. 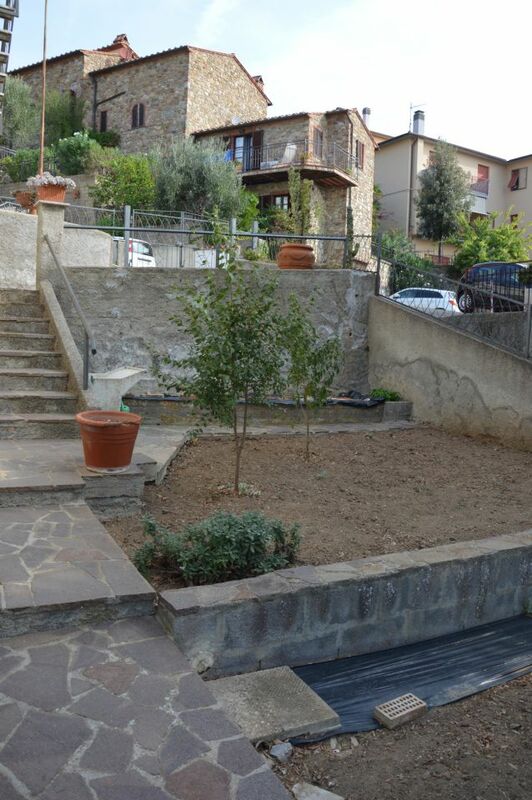 200 sqm in the village of Caldana for sale. 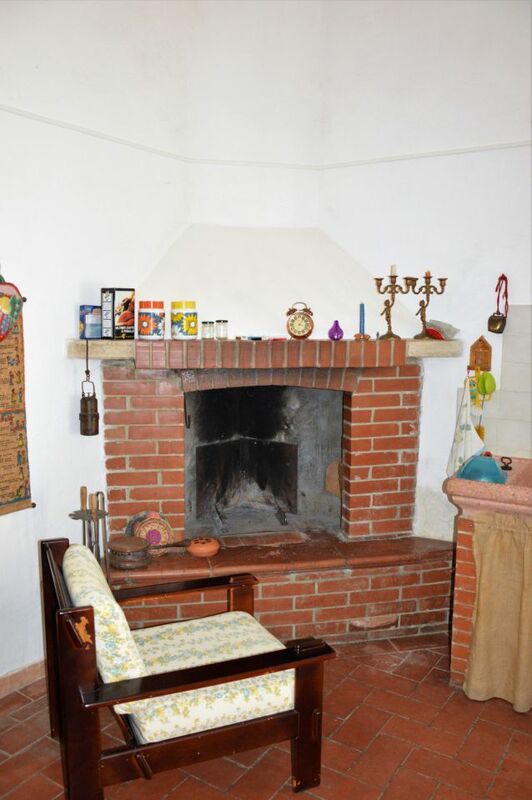 The house extends over three and a half floors and is divided as follows: Basement (souterrain) of approximately 105 sqm with entrance from the garden, bathroom, tavern with fireplace and cantina (the last two with high ceiling heights); Ground floor of about 105 sqm with a separate entrance through a large door from the private garden of the house. 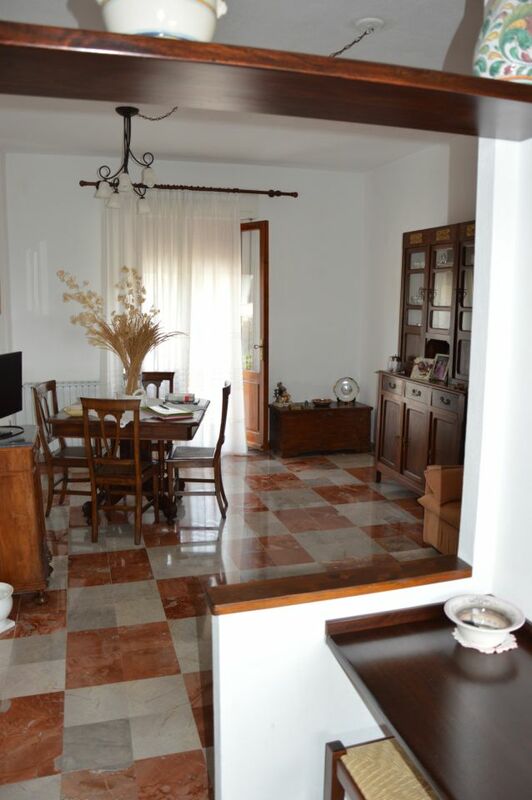 The floor is divided into living room, dining room, kitchen, two bedrooms and bathroom. 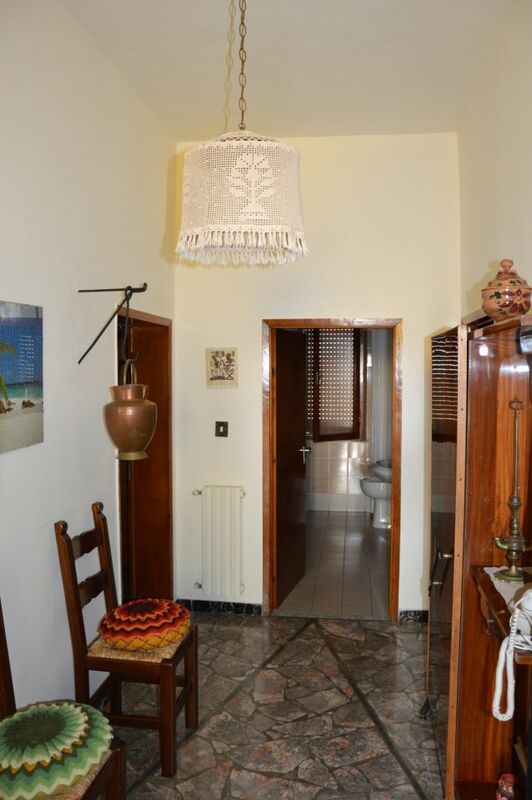 A central corridor connects all rooms on this floor. 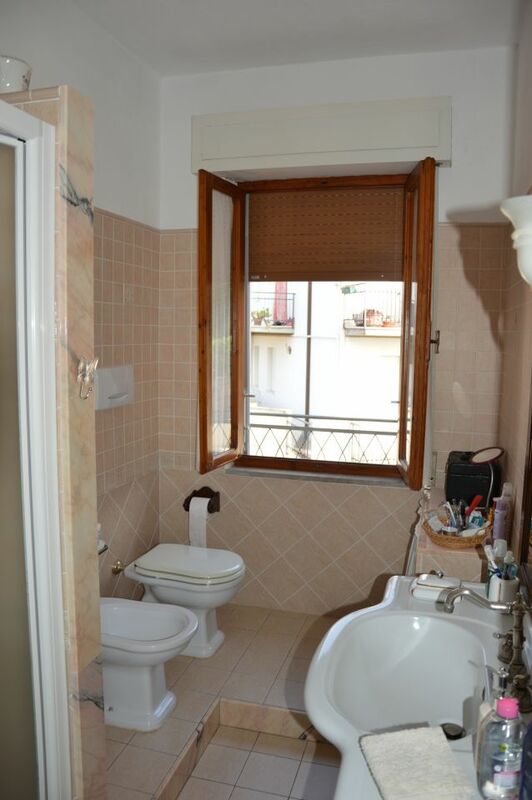 Between the basement and the ground floor there is an intermediate floor of approx. 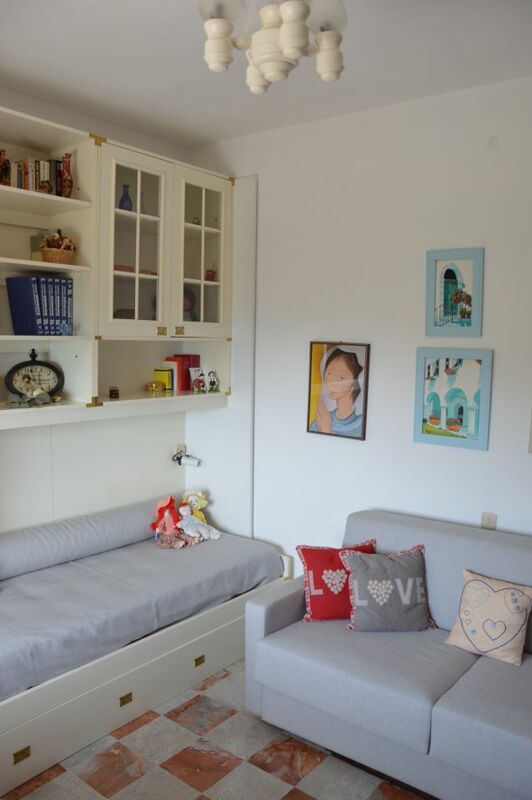 42 sqm. 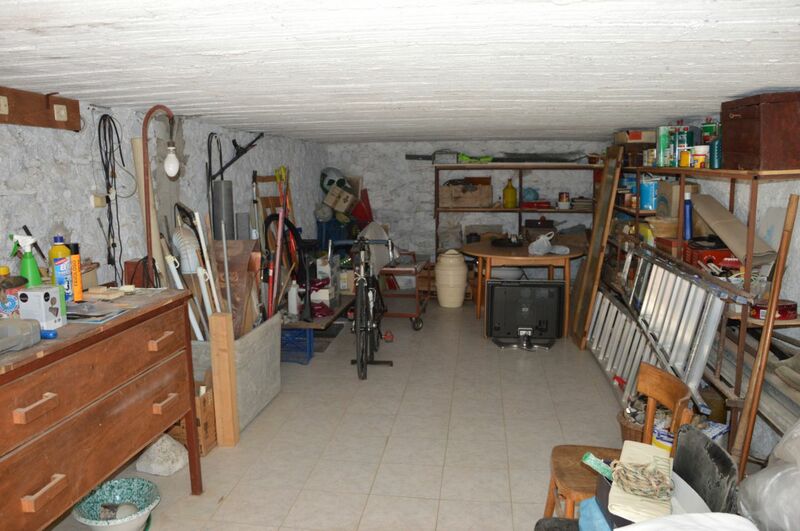 This floor is used as a warehouse and garage and can be reached from the garden. 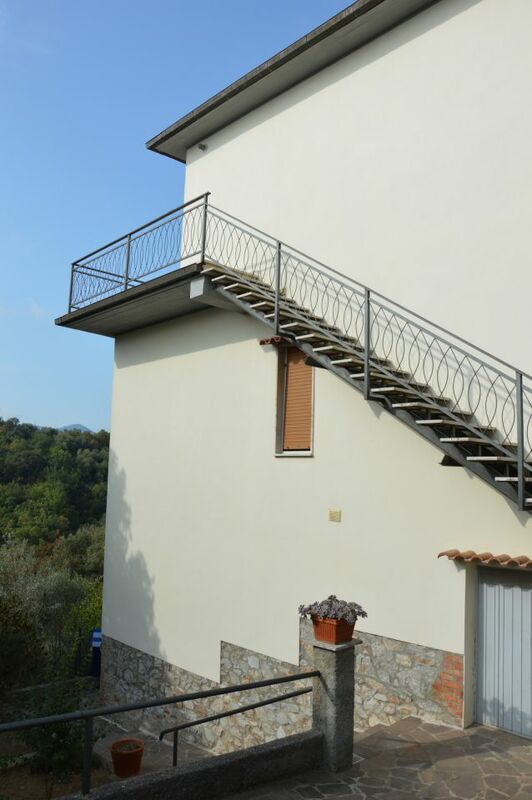 The first floor is accessible via an external staircase and is independent. 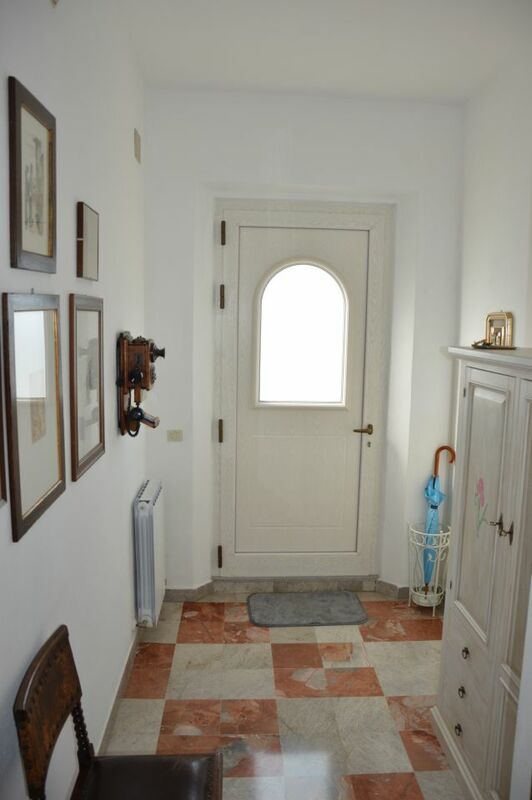 Once you reach this floor, you will reach a large terrace of approx. 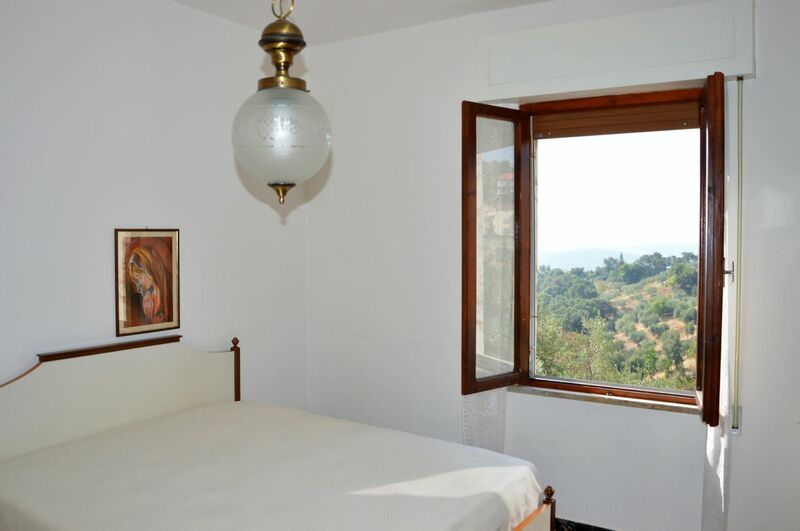 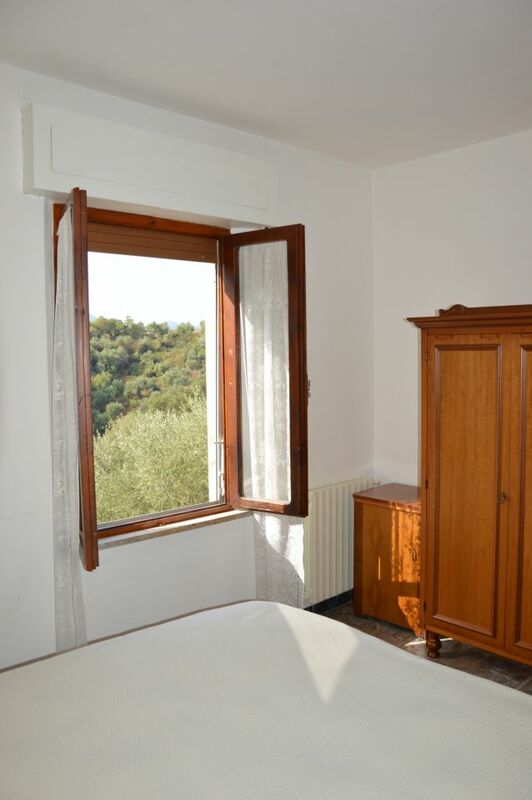 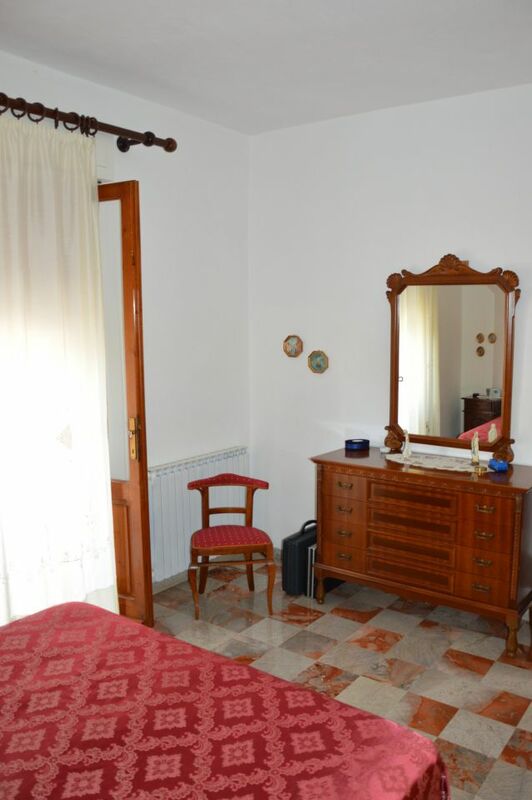 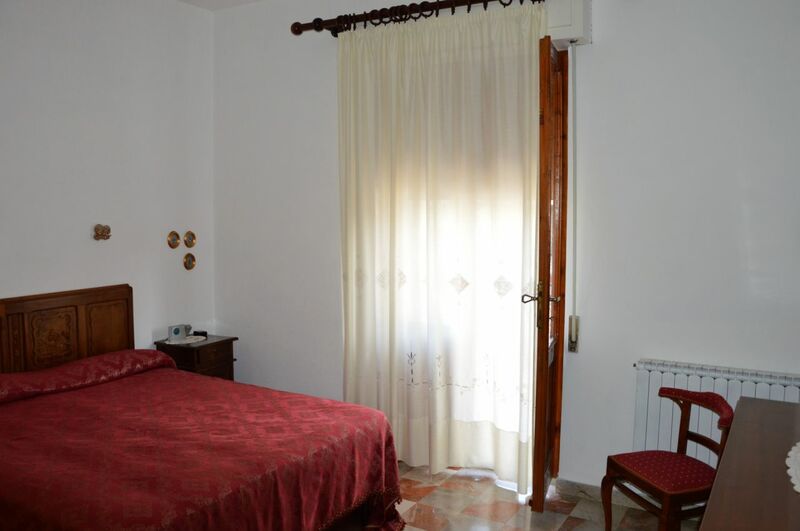 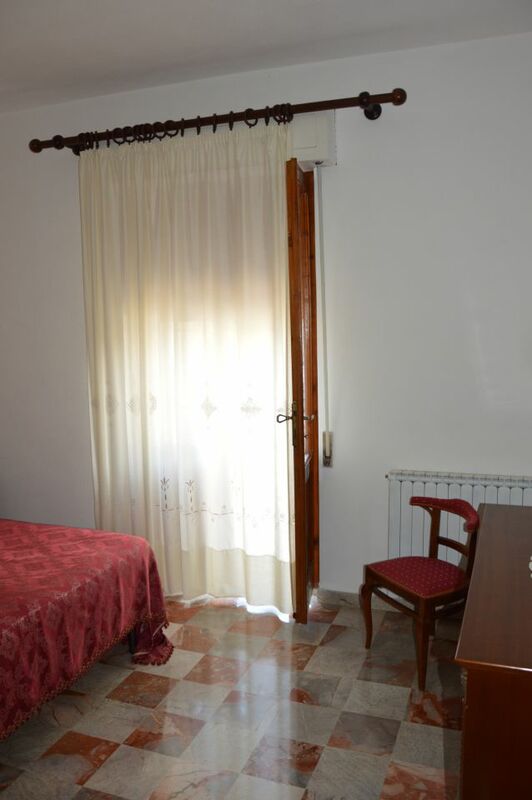 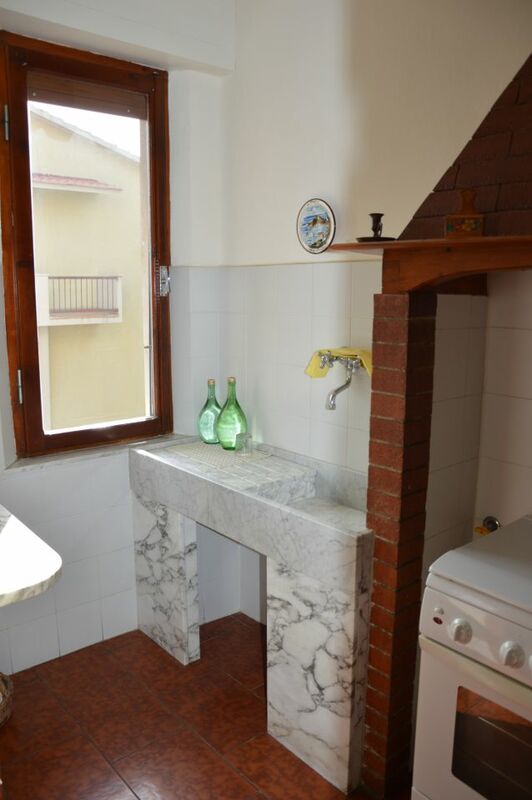 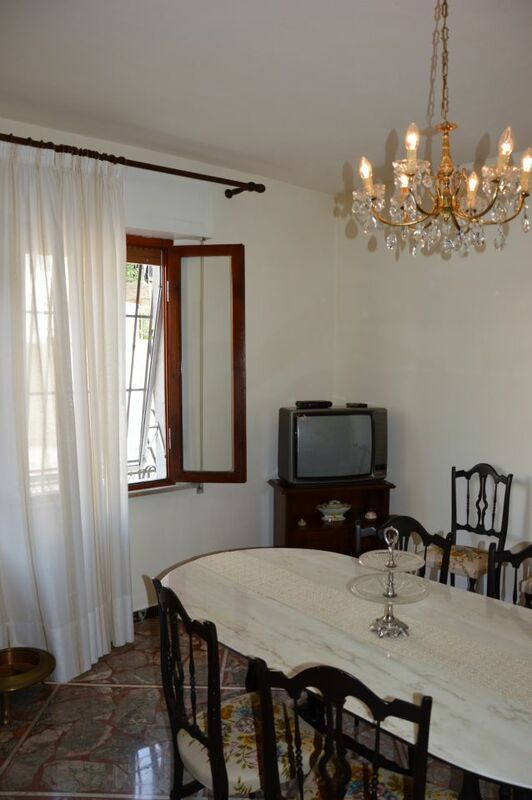 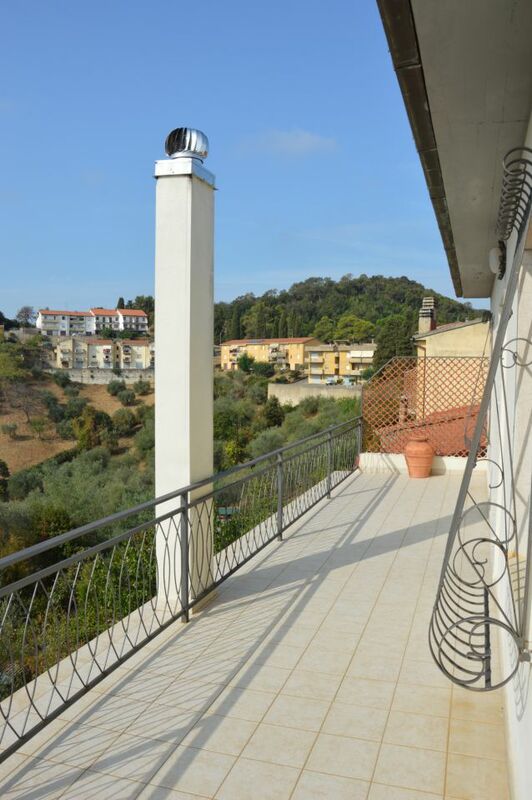 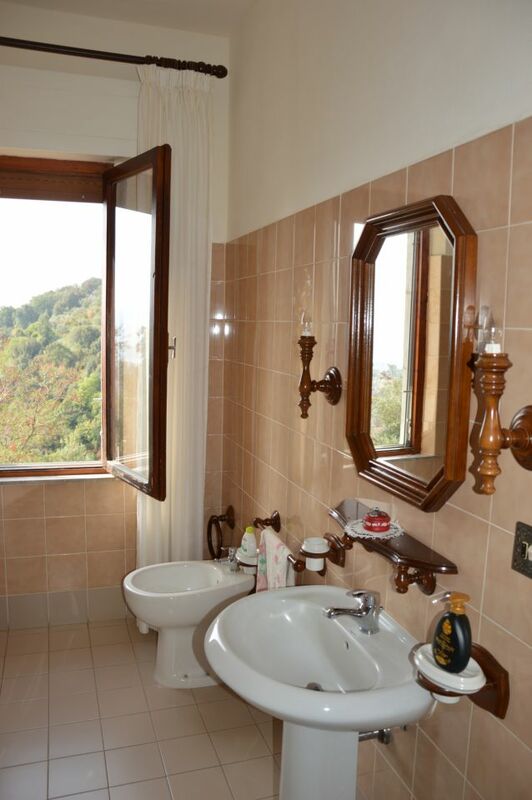 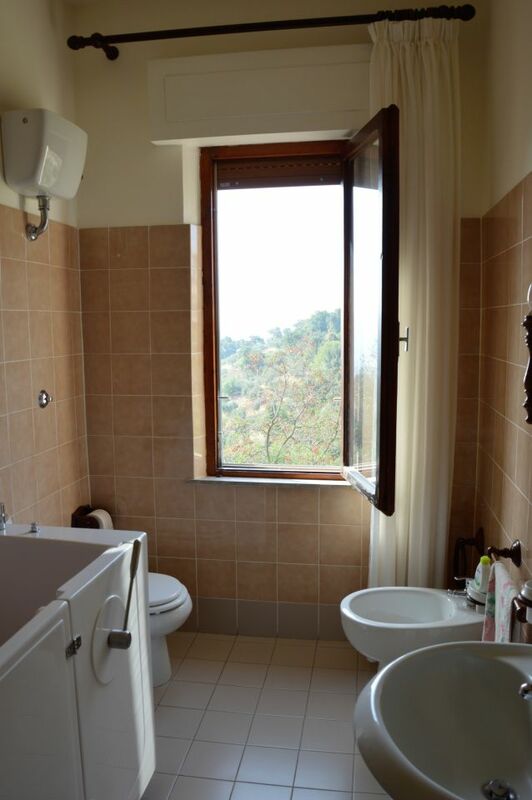 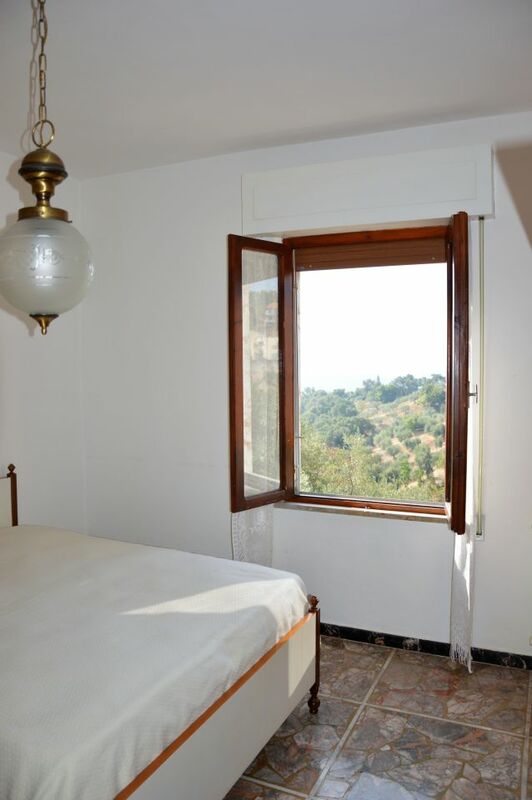 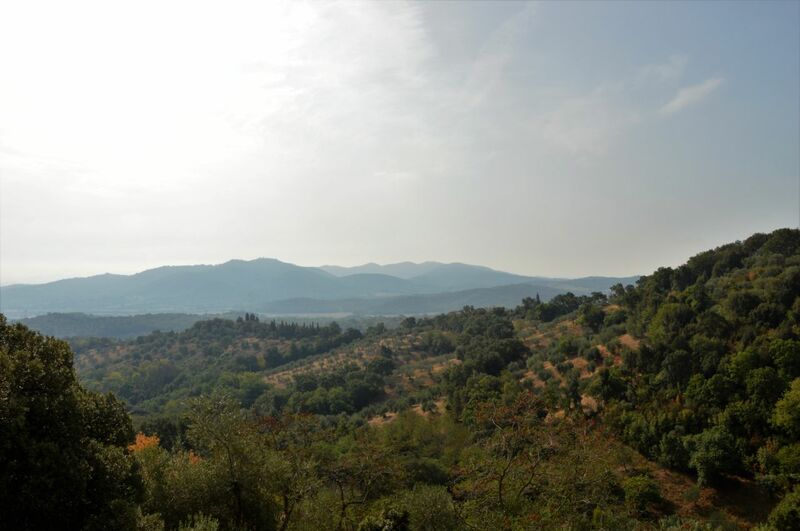 25 sqm, which faces south and offers a breathtaking view over the Maremma hills to the sea of Monte Argentario. 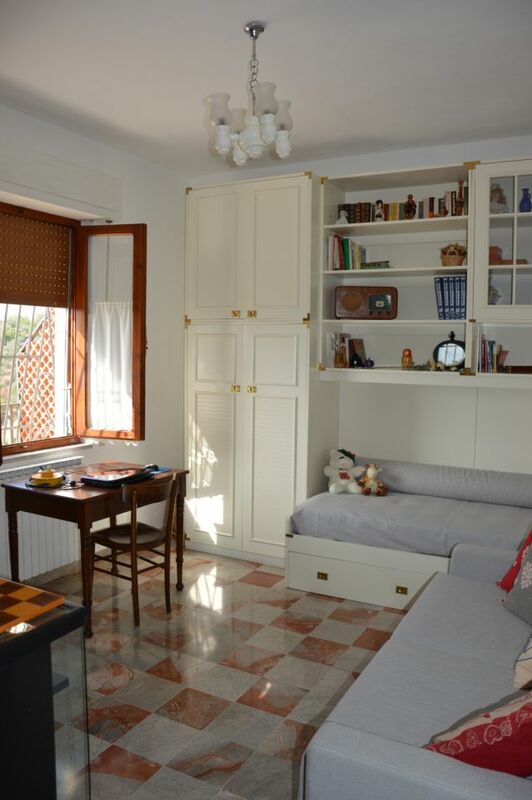 From the terrace you reach the very bright apartment of about 80 sqm with a large living room, kitchen, two bedrooms and a bathroom. 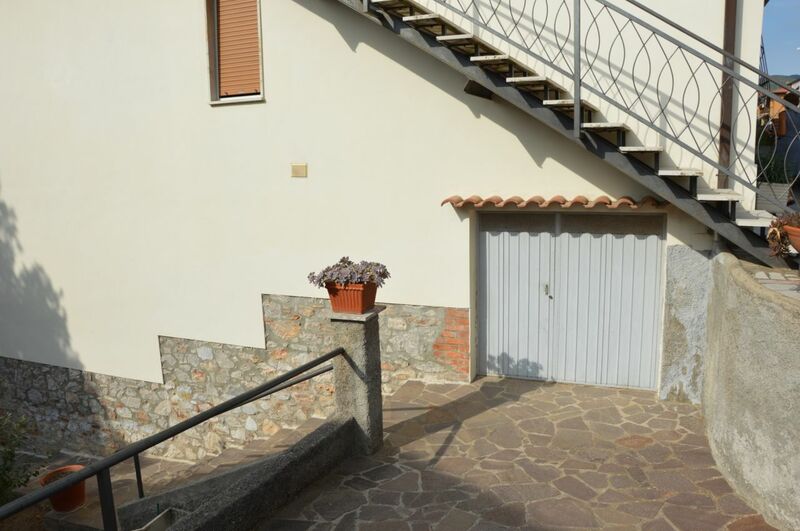 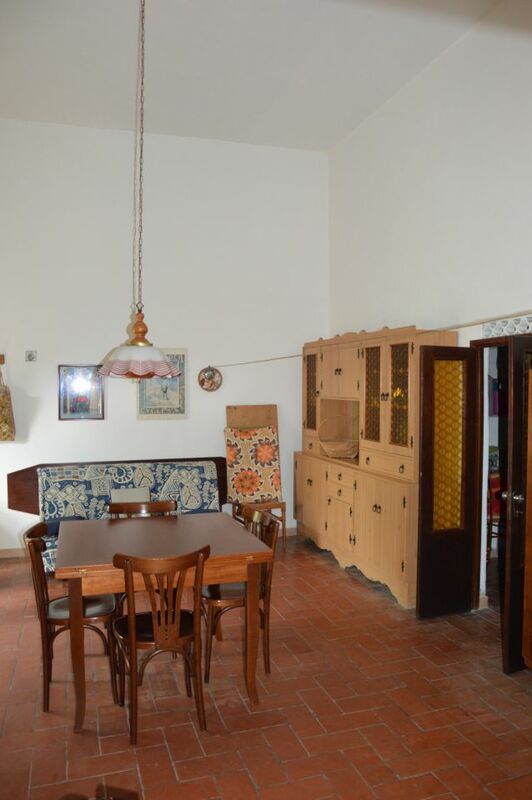 The house, with the two apartments, the basement with the tavern, the cantina and the mezzanine, is very well suited as a two-generation-house who would like to live together but have their own private spaces. 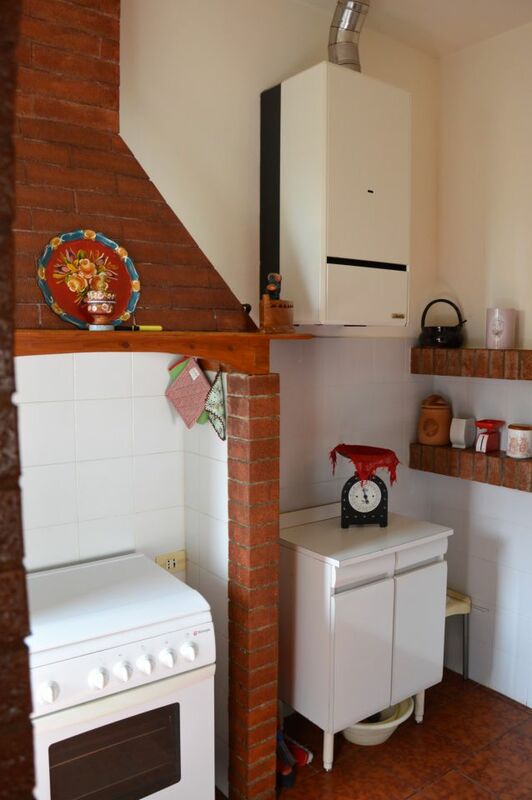 Alternatively, it could be very interesting for two families who buy together and divide the rooms and spaces according to their needs.